CJ City Properties Limited are committed to protecting the privacy of users of this Site. This policy describes the types of information collected, how that information is used and disclosed, and how you can access, modify, or delete your information. 1. We collect information about you when you register with us or enquire about our properties or services we provide either in person, online or on the telephone. You will have filled in an enquiry form from either our website or a third party website requesting either more information or a viewing. Alternatively to will have called us to discuss your request. We would record such details to enable us to record your details. You may provide us with personal data when you subscribe to these services either online or through a physical form. You will typically provide us with your email address and mobile number when you view our properties and completed the Viewing Checklist form. We may also collect information from you automatically when you access and use our Online Services, including the time and duration of your visit, the referring URL, your Internet Protocol (IP) or MAC address, the type of device you use and its operating system. As with most websites, we also operate cookies on ours and further details can be found in the section on cookies below. We also collect information when you voluntarily complete surveys. Depending on the Privacy setting you have applied in your Social Media accounts, and based on the content that you choose to share, when you interact with our Social Media presence we will have access to your user generated content, such as posts, comments, pages, profiles and images. Also depending on the Privacy setting you have applied in your Social Media accounts, and based on the content that you choose to share, we may have access to contact details, personal information (such as age, gender, employer, education, location and habits and preferences). 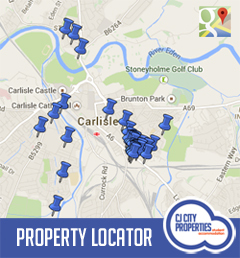 There are miscellaneous forms at site which can also record your personal information – for example lost property. In all of the above instances, we will only provide you with email marketing where you have consented, however if we have sent you email marketing by mistake, please remember that you can withdraw this consent or request to be taken off at any time by clicking the unsubscribe link within the emails you have been sent. Where we send you information electronically, we review whether the communication has been opened and whether you have clicked on any links in the communication. This is because we want to make sure that our communications are useful for you. · Collect data obtained through our interaction with customers for research, analysis, testing, monitoring, risk management and administrative purposes including the optimisation of service delivery at our properties and to improve the customer experience. · Promote our site externally. · We frequently ask for postcode during our customer interactions to help us better understand our customers. We share this data with third parties without any personal identifiers to assist with our insight and analysis. For the loyalty programme, competitions and promotions, the legal basis is also to form a contract with you to provide these services and promotions. We will only keep personal information for as long as we have a valid reason for keeping it. After that, we delete or dispose of the information securely. Where you unsubscribe from our marketing, we will add your email address to our suppression list and delete any additional information that we hold about you. For any contractual purpose, your personal data will be held for as long as is required to execute the contract. When an incident occurs at one of our properties, we are required to document the particulars of an incident which may include witness statements, CCTV footage, photographs, recorded images and written reports. This information may include special categories of data depending on the nature of the incident. Details relating to these incidents and physical paperwork may also be stored on site. This information is collected to ensure that we comply with its legal responsibilities in relation to Health and Safety investigation and reporting, and also for defending future legal claims. The information can also be used to prevent and detect crime, or to protect the vital interests of individuals. Where health information is collected we may also need this for our substantial public interest for Insurance processing. In addition to the purposes already described, we may use Information collected to perform other important business operations, for example: to understand usage patterns with our houses; to develop, provide, improve and personalise products and services; and, to provide customer service/support. We may undertake additional research, analysis, and surveys, both online and in our houses. The lawful basis for this use of Information is for the legitimate business interests of CJ City Properties Ltd.
· in order to enforce or apply our terms and conditions and other agreements with third parties. · Subject to certain conditions, request access to your personal information (commonly known as a “data subject access request”). This enables you to receive a copy of the personal information we hold about you and to check that we are lawfully processing it. If possible, you should specify the type of information you would like to see to ensure that our disclosure is meeting your expectations. Your request may also not impact the rights and freedoms of other people, e.g. privacy and confidentiality rights of other staff. · Subject to certain conditions, request correction of the personal information that we hold about you. This enables you to have any incomplete or inaccurate information we hold about you corrected. You also have a responsibility to help us to keep your personal information accurate and up to date. We encourage you to notify us of any changes regarding your personal data as soon as they occur, including changes to your contact details. This right only applies to your own personal data. When exercising this right, please be as specific as possible. · Subject to certain conditions, request erasure of your personal information. This enables you to ask us to delete or remove personal information where there is no good reason for us continuing to process it. We may not be in a position to erase your personal data, if for example, we need it to (i) comply with a legal obligation, or (ii) exercise or defend legal claims. You also have the right to ask us to delete or remove your personal information where you have exercised your right to object to processing (see below). · Subject to certain conditions, object to processing of your personal information where we are relying on a legitimate interest (or those of a third party) and there is something about your particular situation which makes you want to object to processing on this ground. You also have the right to object where we are processing your personal information for direct marketing purposes. · Subject to certain conditions, request the restriction of processing of your personal information. This enables you to ask us to suspend the processing of personal information about you, for example if you want us to establish its accuracy or the reason for processing it. · Subject to certain conditions, request the transfer of your personal information to another party. If you exercise this right, you should specify the type of information you would like to receive (and where we should send it) where possible to ensure that our disclosure is meeting your expectations. This right only applies if the processing is based on your consent or on our contract with you and when the processing is carried out by automated means (i.e. not for paper records). It covers only the personal data that has been provided to us by you. · Where our processing of your personal data is based on your consent you have the right to withdraw your consent at any time. If you do decide to withdraw your consent we will stop processing your data for that purpose, unless there is another lawful basis we can rely on – in which case, we will let you know. If you withdraw your consent, this will only take effect for future processing. If you want to review, verify, correct or request erasure of your personal information, object to the processing of your personal data, or request that we transfer a copy of your personal information to another party, please contact info@crawfordj.plus.com. You will not have to pay a fee to access your personal information (or to exercise any of the other rights); however, if your request for access is clearly unfounded or excessive, we may refuse to comply with the request in such circumstances. For more information, please contact info@crawfordj.plus.com. · Strictly Necessary Cookies: These cookies are necessary to operate our Online Services. They do not store any personally identifiable information. You can set your browser to block or alert you about these cookies, but our Online Services will not work properly without these cookies. · Performance Cookies: These cookies collect information in an anonymous manner about how visitors use our Online Services and how our Online Services perform. These cookies allow us to recognize and count the number of visitors and help us understand which pages are the most popular and where visitors spend most of their time. · Functional Cookies: These cookies enable the website to provide enhanced functionality and personalisation, such as remembering choices you make or information you provide, what region you are in, your login information, or the pages you have viewed. They may be set by us or by third-party providers whose services we have added to our pages. If you do not allow these cookies then some or all of these services may not function properly. · Targeting Cookies: These cookies allow us and our advertisers to deliver advertisements that are relevant to you and your interests. They may be used by us and our advertisers to build a profile of your interests and show you relevant advertisements on other sites. These cookies may track whether you clicked on an advertisement in order to limit the number of times you see a particular advertisement and help us understand the efficacy of our advertising campaigns. They do not directly store personal information, but uniquely identify your browser and device. If you do not allow these cookies, you will experience less targeted advertising. We allow users to manage their cookie preferences on our website. Click “Cookie Settings” below to set your preferences. This Privacy Notice was last updated on 23 May 2018. If it is necessary for us to alter the terms of the Privacy Notice, we will post the revised Privacy Notice here. We encourage you to frequently review the Privacy Notice for the latest information on our privacy practices. If you have any questions about this Privacy Notice, please contact info@crawfordj.plus.com.